Got a deck, or planning to add one? Understanding how to plan and care for your outdoor spaces is key. And the time to get going on deck and deck-cleaning projects is now, with warm weather on the way. 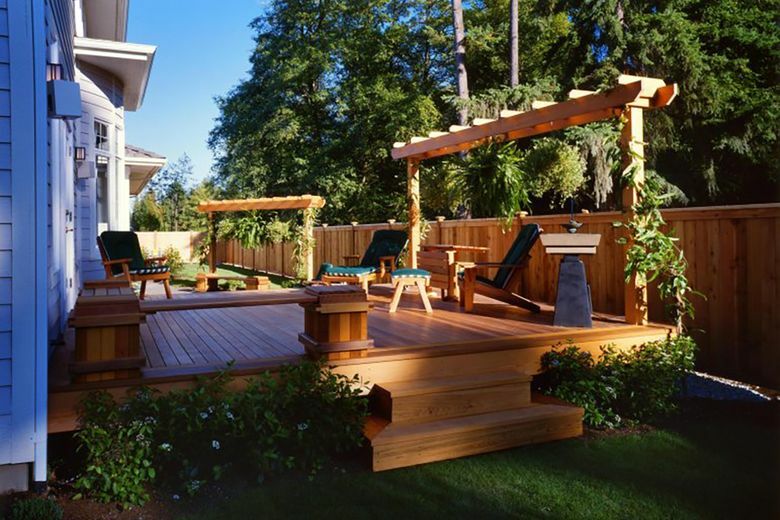 Every spring, Issaquah Cedar advises customers on deck care and deck-construction planning. Here are some tips for building a new space and maintaining an existing one. 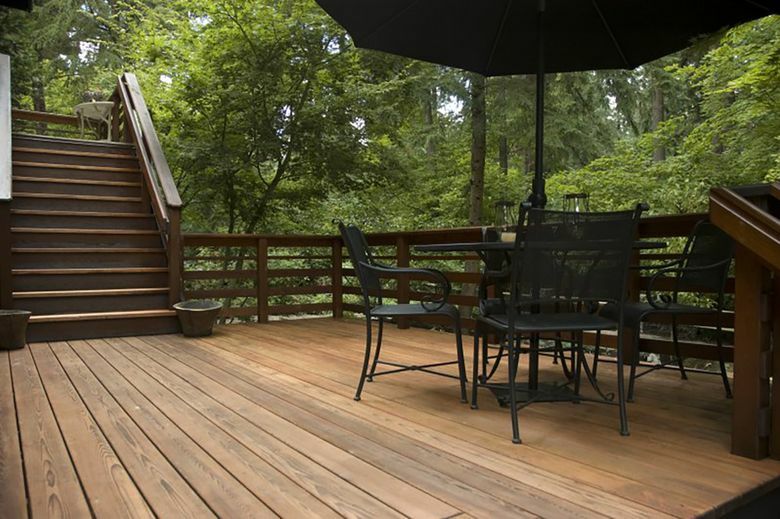 If you’re planning on building a new deck to enjoy this summer, call a contractor quickly, says Stacy Kovats, who directs marketing at century-old Issaquah Cedar and Lumber. Many contractors have nearly finalized their bookings for spring and summer outdoor work. To speed the process of sourcing decking, customers should know their deck’s square footage and then work with a wood salesperson or knowledgeable contractor so they know how much wood to order. Apply solution with a sprayer. Allow it to sit, but not so long that surface dries. Clean surface with a bristle brush, then hose it off. Customers also need to vet with a contractor whether they need a building permit for their deck. Generally, decks that less than thirty inches above ground don’t require a permit or railings, while decks at higher elevations or extending out over a slope may need permits and railings. 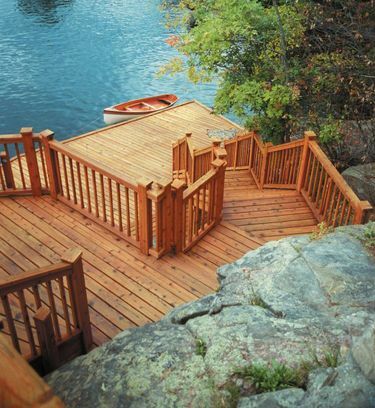 If you’ve already got a deck, the best way to make sure it stays in shape is to clean it more than once a year. Cleaning it seasonally is ideal. Sweeping and spraying decks so that organic matter (leaves, berries, pine cones, flowers, edibles) don’t accumulate and disintegrate onto surfaces helps lower mildew risk. Mildew thrives in temperatures ranging from 40 to 90 degrees and in wet climates, but a good cleaning before cold weather sets in and as spring warms up can help. Kovats cautions that consumers should only bring out the pressure washer for synthetic decking or exotic hardwoods (such as Ipe or tigerwood), which can stand up to the strong water pressure. For softer wood decks (such as cedar), you can use a garden hose sprayer and clean with a recipe made from powdered trisodium phosphate (also known as TSP), which is available at any hardware or home store, mixed with bleach and water. Apply the substance, let it sit, and scrub with a bristle brush before rinsing. You can also use store-bought products: If so, look for products that emphasize their ability to remove organic material, which would include mildew. An example: Products from Penofin. Once the deck is clean, refinishing periodically also can help protect it, as outdoor finishes generally contain ingredients designed to deter absorption of organics. Kovats says that surface sealers may appeal to some consumers, given they last up to five years, but ultimately she considers these products a compromising approach because they only coat the top surface of the wood – which can be attacked from other directions – and require stripping or sanding to refinish. The better way to preserve wooden decks and surfaces is to use an oil-based product that offers UV protection and soaks into wood, she says.